It remains a 50-50 chance that President Trump and his party will lose control of the House, but nobody is predicting that he will suffer the disaster former Presidents Barack Obama and Bill Clinton did in their first midterm congressional election. A Gallup analysis shows that the scandal-plagued Clinton lost 53 seats in 1994. Obama, in 2010, lost 63 seats, the most since 1946. 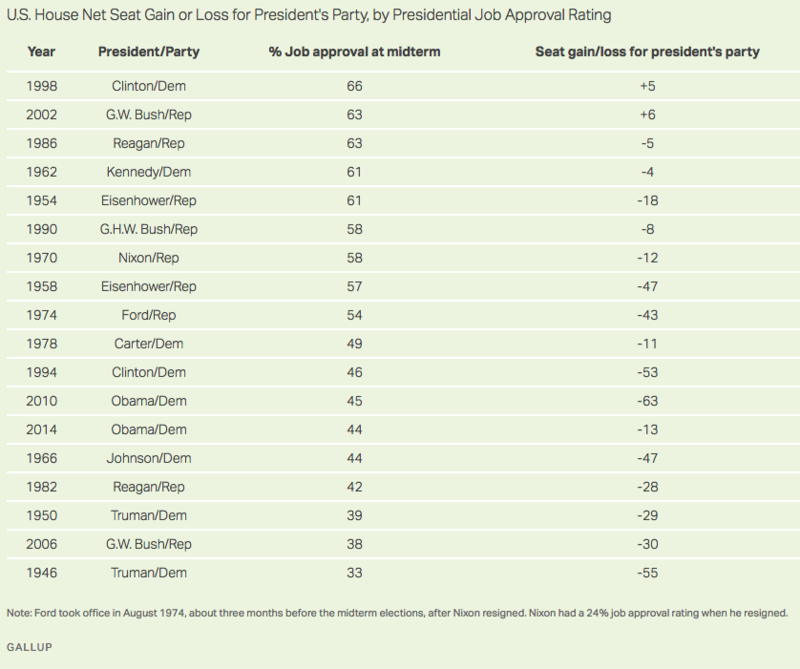 Gallup ties the losses to low approval ratings. At the time, Clinton was at 46 percent approval and Obama at 45 percent.